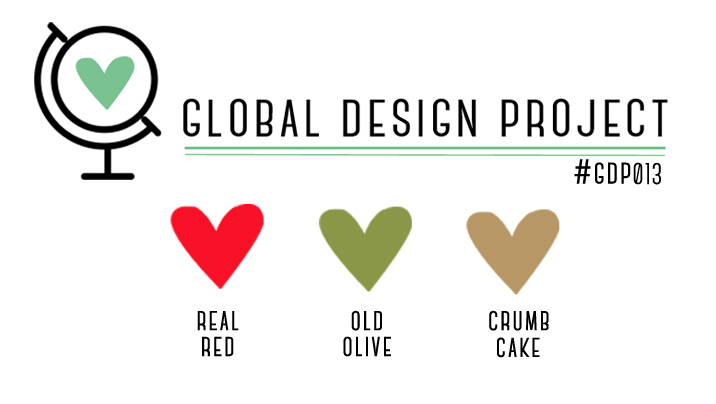 It's Monday again, which means another Global Design Project challenge is live. Now Monday's are one of my favorite days of the week! We have a colour challenge this week, and even though the colour combination really does lend itself to possibly be a more festive type project, I really wanted to use my new flower stamp set....*insert SNEAK PEAK from the upcoming Sale-a-Bration brochure - how exciting! I decided to stay with a clean, simple and layered look, which really is my style. 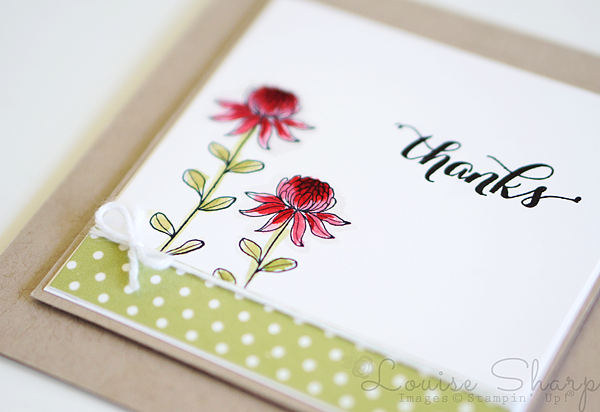 I stamped the flowers with the Archival Black Ink Pad and roughly watercolored the flowers using an Aqua Painter. The bottom row of green polka dots is from the Season of Cheer Designer Washi Tape and I'm really happy with the end result. You will be so thrilled with the new products available in January 2016 Sale-a-Brations brochure, there's so many amazing things. 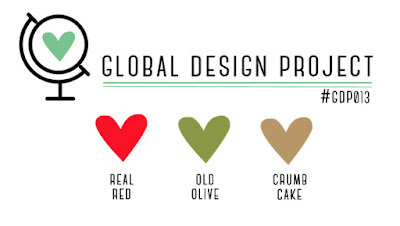 I hope I've inspired you to need this stamp set! I absolutely adore this card Louise! Wow. Stunning. Can't wait to get my hands on those new stamps from the Sale-a-Bration catalogue. Thanks for the sneak peek. Oh.. that´s SO beautiful. Your card is one of my favorites this week. What a beautiful showcase of these colors and this new stamp set. I love your restrained artistry - less is definitely more with this project. LOVE. Love the sneak peek of this stamp and the way you combined it with these colors. Simply beautiful as usual. love what you did with this set! I got it for Prize Patrol at one of the OnStage Live events and haven't been very successful with any of the card ideas I tried. This is just plain adorable!